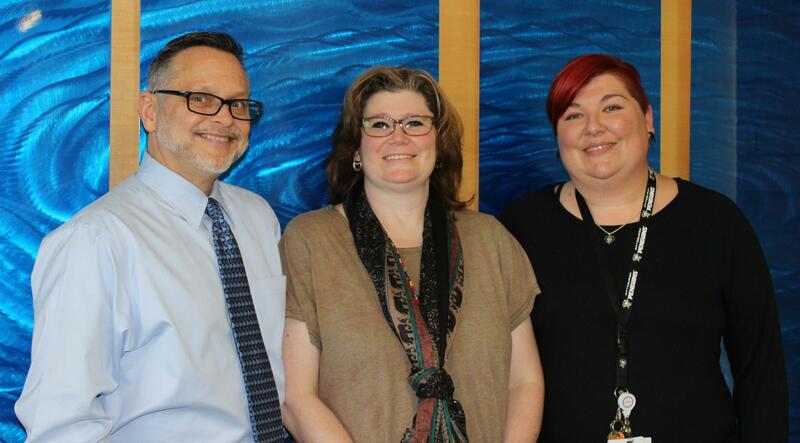 David Gardner, Dana Grant and Amber Scire work as peer specialists in drug and alcohol recovery at UPMC. UPMC is in the middle of a two year grant-funded program that brings people in recovery from substance use disorders to the hospital bedsides of people currently battling addiction. They’re called “peer specialists,” and they help people make the transition from addiction to recovery by sharing their own stories. They say patients often tell them they feel more comfortable speaking with someone who also has a substance use disorder. They can model for patients -- and for doctors and nurses -- what recovery looks like on a daily basis. They can talk about how hard it can be to put down the bottle or the pipe, but they can also talking about how freeing it is to live a sober life. 90.5 WESA's Liz Reid spoke to three of them. David Gardner works at UPMC Mercy, Dana Grant works at UPMC East and Amber Scire works at UPMC McKeesport. Gardner: The most important thing is to lift the stigma of those who are suffering from substance use disorder. All three of us are in recovery and we maintain recovery and we are to self-disclose. Our journey, how we stay clean and sober one day at a time. Grant: This is what recovery looks like. This is what it looks like to have a life, to have a family, this is what it looks like to maintain recovery, and this is what it looks like to help people get from the fire into the light. Scire: I get constantly at the hospital, that I’m a real person. I always tease them when they say that, “Of course I’m a real person. And so is everybody else.” “No, you don’t understand, you’re a real person.” “No I do understand, I get what you’re saying.” There’s a level of comfort there. Gardner: So I was 26 when I got sober, when I got into, when I started my journey, currently 55 years old. The thing that happened to me is I lost myself. It was a gradual thing. I maintained a very good front and I only showed people what they wanted to see, but basically I lost myself. I could literally not look at myself in the mirror anymore. Grant: I started drinking, I was probably 6 or 7 years old. My mom was a bartender so I would steal the booze from behind the bar and put it behind my bag. And I saw these guys at the bar and they were always so happy, they were always so happy at the bar. I wanted that happiness because I felt like I was dead on the inside. As I grew older, the drinking progressed and it turned into pills. Like when my grandmother passed away, I stole her pills. Scire: I’ve been sober for 4 ½ years now. I was forced into mine. I’m not even going to lie. I was given one of two options, to sober up and maintain sober or lose my son. I chose to sober up. That fear of losing my son was way too much for me. I’m an alcoholic. I started drinking when I was 14 years old, because I thought I was cool, and apparently I wasn’t. Recovery is not about putting down the drink, recovery is not about putting down the needle, recovery is about getting things back in our lives. Gardner: My disorder was there long before I picked up my first drink. The thing about recovery is that you learn to laugh again. I never thought, my very first meeting, when I walked into those rooms I was scared to death and I wasn’t sure if I belonged there or not. And I saw these people laughing and I saw these people talking, and I saw the comraderie, and I was thinking to myself “They don’t have anything in them.” And at first I thought they were lying. And I have to ask “How do you do it? How do you do this?” And I wanted it. Grant: I was on my way to drive my car off a bridge. I did not choose sobriety, I chose death. I wanted to die. I did not want to be alive and I could not imagine my life sober. My six-year-old at the time said that I was broken and he needed a new mom, and he chose my mom. I was driving home and something in my brain must have clicked because I firmly believe that God had reached down and plucked me up and stuck me into the Onala Club for their 10:00 meeting. Because I did not choose to go there. I did not say, Hey I’m going to go get sober. My choice was to drive my car off the bridge. Scire: I lost so much of my son growing up because I wasn’t able to go to the Christmas performance for kindergarten because I couldn’t move, I couldn’t get out of bed. And now that I can do it, I don’t miss anything. Gardner: It is not a weakness of character it is a disorder, it’s a substance use disorder, and there’s no graduation day. It’s a lifelong way of life. Grant: I gave things up, willingly and unwillingly, to addiction that I got back today. And that’s what recovery is. Recovery is putting things back, recovery is getting things back. You know, recovery’s not about putting down the drink, recovery’s not about putting down the needle, recovery’s about getting things back in our lives. "They taste disgusting," Angela says. But the taste is worth it to her. 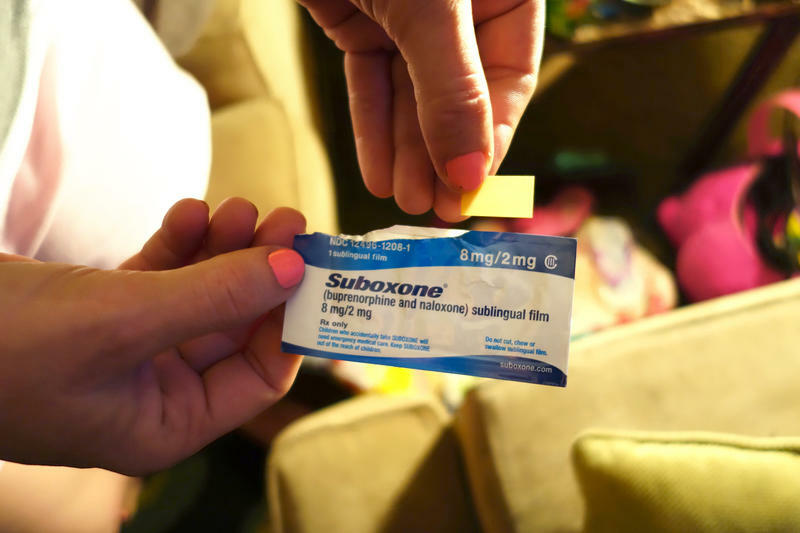 The dissolvable strips are actually a drug called Suboxone, which helps control an opioid user's cravings for the drug. The married couple both got addicted to prescription painkillers following injuries several years ago, and they decided to go into recovery this year. With Suboxone, they don't have to worry about how they'll get drugs, or how sick they'll feel if they don't. The state of Pennsylvania and University of Pittsburgh announced a new partnership aimed at helping stem the tide of opioid addiction, county by county. “It doesn’t matter where you go in the commonwealth, in southwestern PA, in urban PA, rural Pennsylvania and suburban Pennsylvania. It doesn’t matter what you look like or what zip code you come from, too many lives are being taken by heroin and opioids,” said Josh Shapiro, head of the Pennsylvania Commission on Crime and Delinquency, which is funding the new center. The operators of southwestern Pennsylvania’s two casinos have both been fined by the Pennsylvania Gaming Control board. Washington Trotting Association, which operates the Meadows Casino in Washington County, was fined $40,000 after allowing two men who have placed themselves on the state’s self-exclusion list to access the casino and gamble at table games and slot machines. Doug Harbach is communications director of the Gaming Control Board and said more than 9,700 people have placed themselves on the self-exclusion list. While much of the testimony at a state Senate hearing in Pittsburgh on Thursday focused on the need for the state to fund opioid addiction treatment regimens, one expert recommended the state take legal action against insurers who illegally deny coverage of long-term rehabilitation programs for those addicted to heroin or prescription painkillers.